Fun-size is the best way to describe this structure. 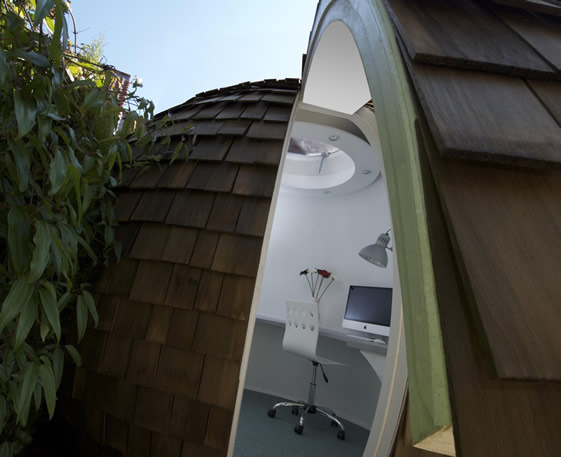 The “Archipod” is the best thing ever built since the treehouse was invented. A lot of people prefer to be outdoors whether for playing with their kids, reading a good book, or just getting some alone time. Of course the comfort you get from the outdoors is different compared to what you get inside of your house. Elements of nature can be both relaxing and annoying for your outdoor experience. 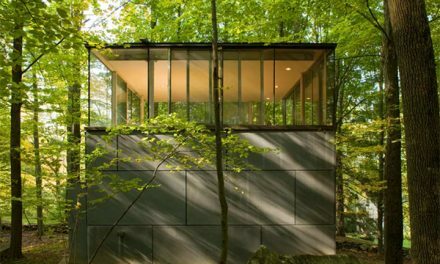 That is the reason why this chic garden shed was built–to make you comfortable outdoors as much as you are comfortable indoors. Fun-size doesn’t only stand for “fun” as in the feeling kids get during playtime. Fun-size also means “function”. 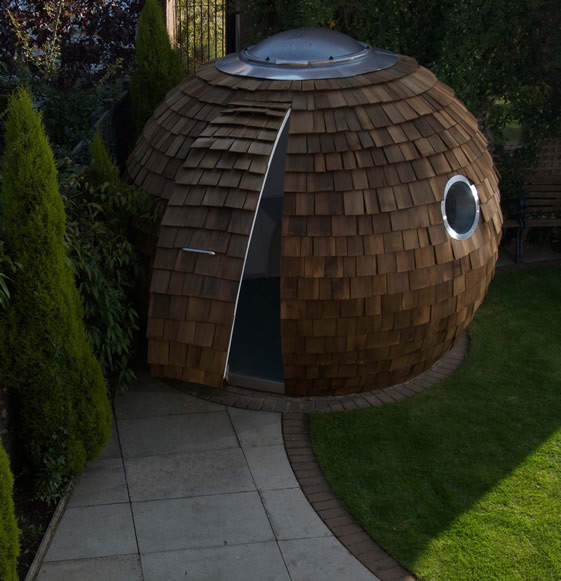 With an internal diameter of 3.9m, this shed was built for privacy even outdoors making it the ultimate getaway. 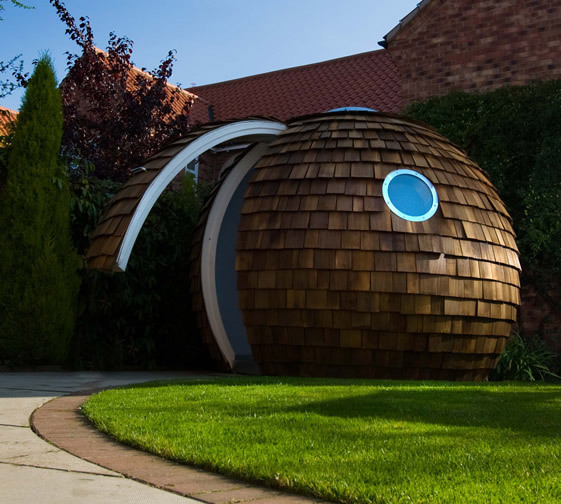 It can be so much more than just a play house for the kids. 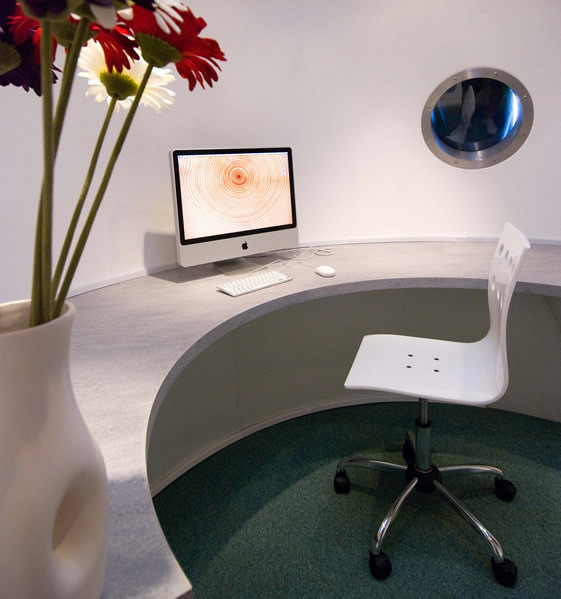 Turn it into an office, a book nook, or an extension for the guest area. The function is up to you. Why spend so much more for constructing special rooms when you can have this very futuristic, compact, functional and chic shed? 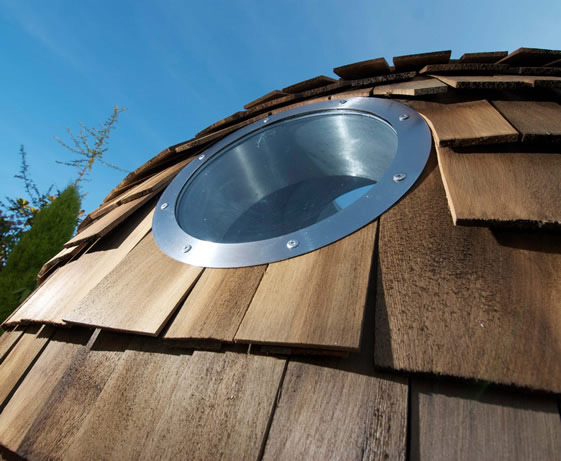 The facade illustrates a nature-inspired theme with wood shingles covering it. To add to the futuristic feel, the door hinged at the top, opens upwards. 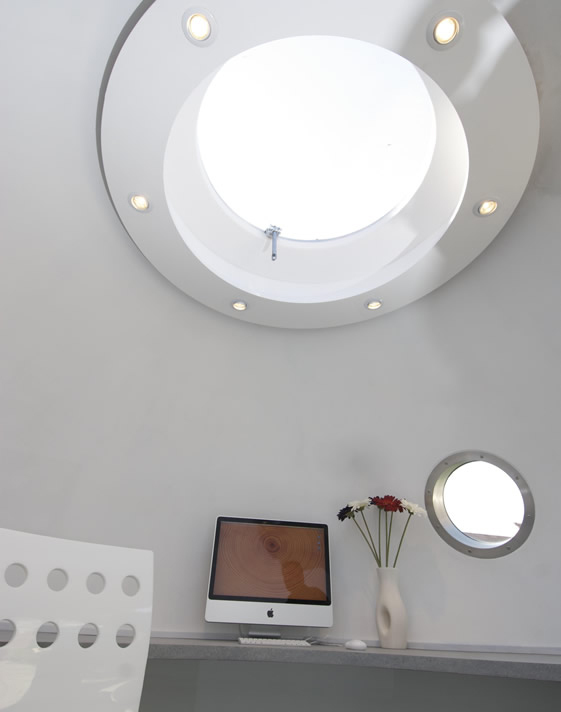 During the day, natural light enters the shed through a skylight. It’s very eco-friendly and looks great in any backyard. I love the idea of building something stylish, even small yet very versatile. Kids will love them, adults will enjoy them, and they will surely be a better reason to go outdoors well, technically.